NEPTUNE BEACH, Fla. -- Logan Mott, the 15-year-old from Florida who was reported missing earlier this week, was caught Friday night trying to enter Canada, the Jacksonville Sheriff's Office said. Mott was reported missing with grandmother, but police said they believed they had found her body in a shallow grave in the backyard of her son's home. Mott's mother Carrie Campbell-Mott released the following statement after learning her son was in custody, CBS affiliate WJAX reports: "We are relieved he is safe and in custody and we just ask for everyone to give us time to sort out what happened. That no matter what, Logan is our child and we love him and are standing by him to help in any way. We want to find out what happened to Kristina and we need time for that to happen." 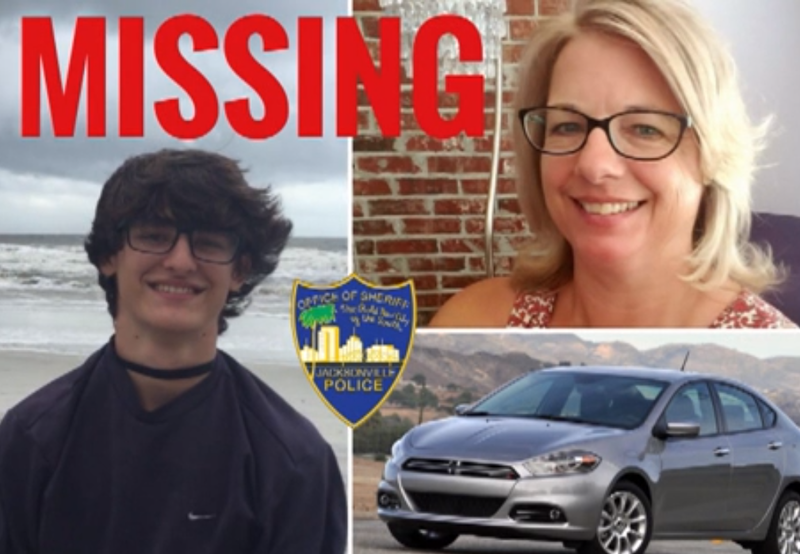 On Wednesday, the teen and his grandmother were supposed to pick up his father and the father's girlfriend at the airport, who were flying back to the Jacksonville area after a vacation. When they didn't show up, the couple took an Uber back to their Neptune Beach home to find it ransacked with the door open and guns missing from a gun safe, CBS affiliate WJAX reports. Neptune Beach Police and the Jacksonville Sheriff's Office, where Mott's father works as a corrections officer, launched an investigation. Jacksonville Sheriff's Office director Ron Lendvay said investigators uncovered evidence of foul play and "possible criminal violence" inside the home, and later uncovered the buried remains that appear to be consistent with Kristina French, 53. The remains have not been officially identified. Lendvay said authorities are in the process of obtaining an arrest warrant for Mott on auto theft charges. He said police want to interview Mott to find out what happened in the home. Mott had been the subject of a missing child alert issued by the Florida Department of Law Enforcement. His mother Carrie Campbell-Mott had issued a plea for his return, telling media outlets he was insulin-dependent and didn't know whether he had his insulin with him. Lendvay said investigators now believe he is in possession of his insulin packs. Campbell-Mott, who lives in Missouri, told WJAX that Logan's father, who is her ex-husband and French's son, last heard from French via text on Tuesday when she confirmed she would pick him up at the airport the following day. Lendvay said that because guns were taken from the home, anyone who sees Mott or the car should use extreme caution and call 911. Mott should be considered armed and dangerous, he said.